Tried to find Album Art via ITUNES; not found. how to add album artwork on itunes? Ran iTunes Duplicate Remover and it found 95% of the album art missing for songs and it was accurate. Surprised it even found Album Art for some obscure, not popular songs I have. It also found all of the duplicate songs for clean up, which helps delete duplicate songs in itunes. I had also created some duplicates before running the scan and it detected those also. I have some songs where I did not have or know the artist and/or album. It found the artist or album for all of them. It ran quickly and delivered impressive results. 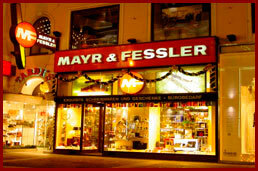 Mayr & Fessler's tradition of finest quality and exceptional service dates back to its establishment in 1840. Its high standards earned it the privilege of being a "Purveyor to his Majesty the Emperor". Today the store offers you a broad selection of quality goods ranging from exquisite writing instruments, to stylish leather goods and fine gifts as well as souvenirs. We shall be delighted to introduce you to the true meaning of "Special"!